It’s Monday which means it’s time for some Encouragement to get you through your week! It’s been awhile since I have blogged about fitness and for that I apologize! I have been a super crazy Momma over here! But, wouldn’t you know today is a School Holiday which means the kids are home and I have an excuse to be home as well!! This makes me happy so I decided I would catch up on my blog! If you are one of my faithful followers (thank you for that) you will remember how I was all freaking about over month ago when school was in full swing with all the new sports schedules my children were participating in, along with me going back to work. 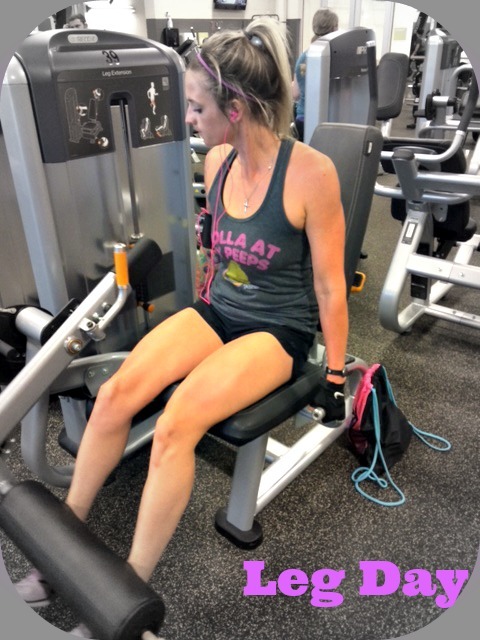 I went through a few weeks of chaos and my gym routine was all out of sorts! I was on the brink of being discouraged and wanting to throw in the towel, but there was a big part of me that didn’t want to let go of all the progress I made over the summer putting lots of time into the gym. When your life is on a fast pace it feels easy to be taken over by fast food and laziness binges due to lack of energy from being so busy! Don’t give in to this because it doesn’t have to be that way! I am happy to report that I was able to not allow myself to stay stuck in that rut I fell into for a few weeks. If you need a little push read this! When your passion is in something specific and your will to see it through is strong enough, you will make a way! You will! The secret is….You got to want it bad enough for yourself! It will not come easy, or over night, but it will come, it will play out, it will manifest into something beautiful if you just stay faithful and trust the process! All of your time, hard work, dedication, sweat, tears, discipline, efforts, they will pay off and you will be satisfied with your results! This picture was taken on our leg day! I have be to be honest, I had no clue my husband was GYM CREEPING ME with his phone! HA HA But, I am really glad he decided to that day. He texted it to me while I was cooking dinner and I was surprised at how far I have come. For the first time in a long time I saw the woman I was striving so hard to be, Strong and Healthy. He didn’t know what he was really doing at the time but he helped encourage me, and push me to keep moving forward, to always find away to live out one of my passions. I am going to take these next few blog post to share with you some tips that have helped me stay on top of my workouts with 5 kids and chaos! I hope these tips help you as well, if you are struggling with how to balance it all! I know, because I am doing it! Beautiful Friend, it is very possible to be a good mother who loves her children and also loves herself. Don’t let yourself believe that if you spend any time on just yourself you are being a selfish bad mom! That is just a lie we have all been told and allow ourselves to believe! It’s very important for them and your husband to love yourself and too take good care of yourself! They will ALL benefit from this tremendously!! Read FIGHT TO BE THAT MOM HERE! Check Out my results from FASTED CARDIO HERE!